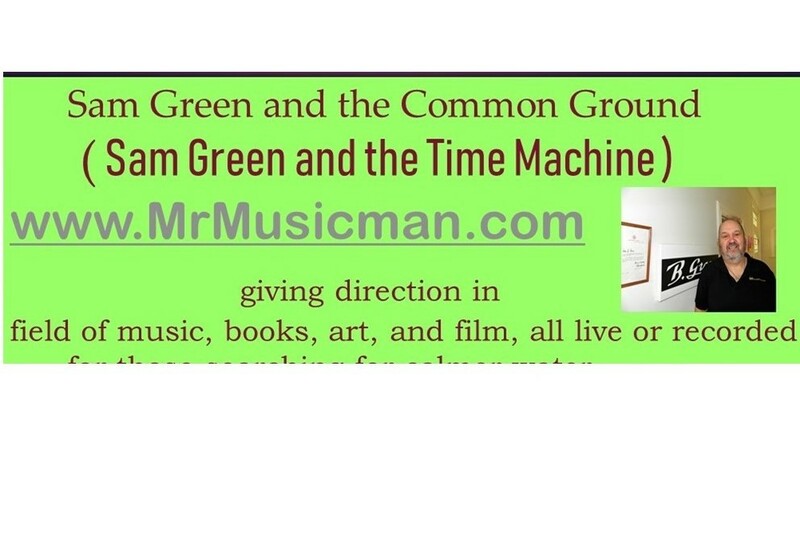 Sam Green Social World – Follow Us! 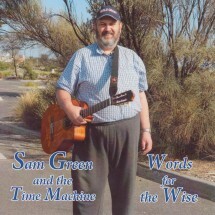 Sam Green who calls himself Sam Green and the Time Machine the artist singer and songwriter who was born before the sixties and seventies era and still lives in Melbourne Australia as a base and finds life is good. 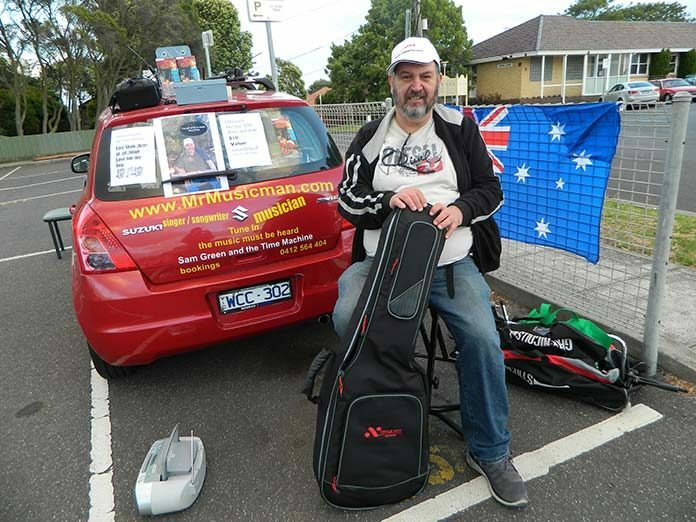 Both his parents were Polish and Belarusian refugees both migrating to Australian waters after the Second World War to their new homeland Australia. There in Melbourne both parents meet in at the New Year’s night gathering in St. Kilda area zone near the beach in 1950 after which so married for well over fifty years together. Soon after meeting and marrying the older brother was born. Both parents had Musical orientations in their families where they families would sing together such was the life in those days. Sam’s father Boris was a watchmaker by trade repairing watches as was Sam’s grandfather was. 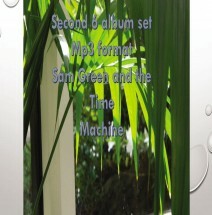 Sam became apprentice to his father hence the stage name Sam Green and the Time Machine came into being. Spending his Leisure hours pursuing his hobby in music and poetry hanging around folk clubs and Spanish guitarist as well as other poets around where Sam would play sing and talk. Jamming to the beat at parties and other gatherings including campfires and social events his skill of preforming has been had developed over the years. As a child in a youth movement he would write parodies of those current hit songs on the charts which were in the media and radio wave lengths at that time then he would sing them peers group nights. Music is in the blood Sam loves to sing in front of people as people love to hear his voice such was the case and still is. 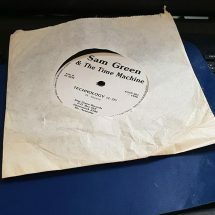 Time found Sam doing a live to air on radio 3uz performing one of the songs he wrote called The Peace Ship much before Cat Stevens Peace Train was released. As well as playing Red Faces on channel nine to brake the ice.At a much earlier time at a younger age Sam wrote to the young Bob Dylan thanking him for writing the song Blowin in the Wind Sam said the song giving insight in to the concept of life. Being dj on 3cr later on 3 Lion fm for his program Local Live and International from the late 1994 and then 2008 both also for 10 months each. 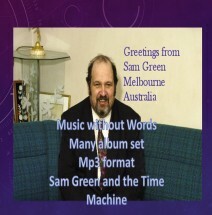 Sam spend much time writing to many artists and writers receiving replies in connection of the spirit of a writer. Now days his services are listed write songs and conjure up melodies his skills also provides performances for parties house parties private functions and public functions as long as it is it is non-smoking environment. Australia international +61412564404 in Australia Sam Green and his office 0412564404 leave a message make an appointment to talk. Will get back to say hello with reason we love to talk and come up with some pleasing deal.